Prepare to focus on your left elbow like never before. The setup isn't the tip itself, but it's an essential pre-requisite to the tip. It'll become clear why shortly. It's hard not to notice that Bryson sets up to the ball a little differently than most people. He's slightly more upright, and most notably, he keeps his left arm very straight. We won't go into all the reasons why, but in its simplest terms: players' left arms straighten as they swing into impact. Rather than keeping his arms loose at address and then straightening, Bryson just keeps his arms straight to begin with. 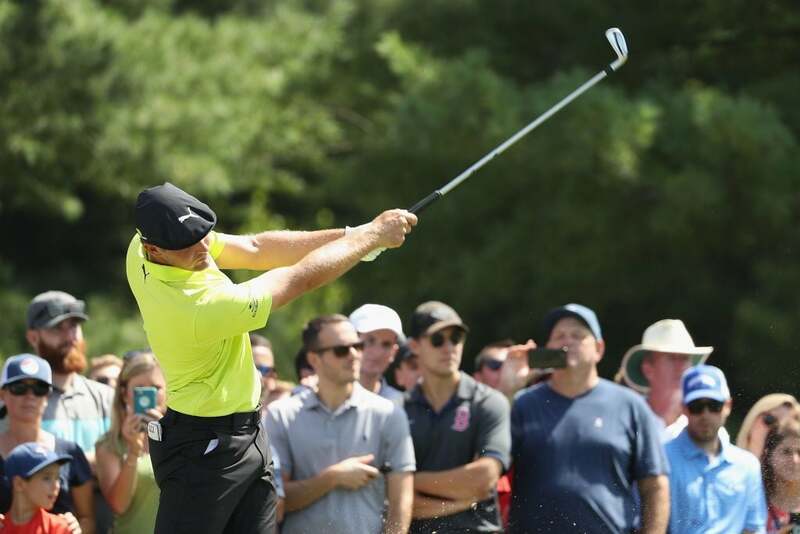 Less moving parts is a cornerstone of Bryson's swing philosophy. That's how my lesson started. I keep my arms straighter and higher than most at address, and it caught Bryson's eye. 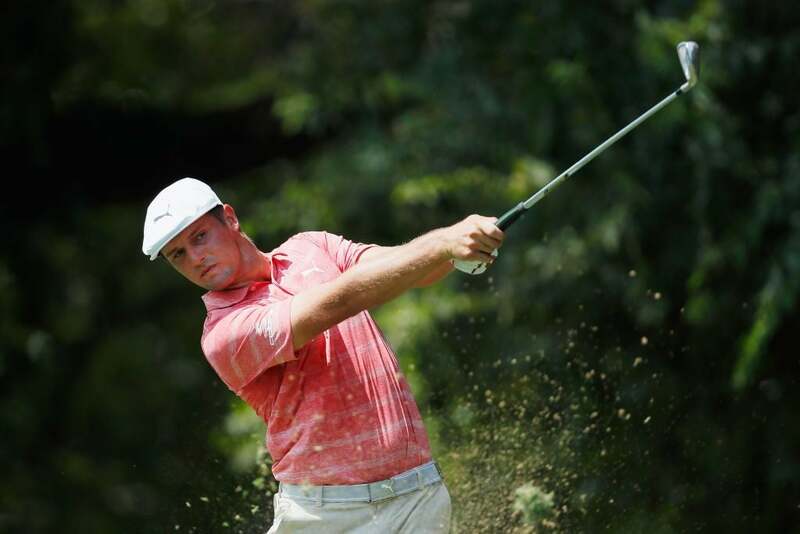 "Set up to the ball how you normally do," Bryson said. "I am," I said. "Oh, I actually kinda like that," he said, then stepped towards me. "Alright, here's something I do. It's one of my secrets." As I stepped up over the ball Bryson grabbed my left elbow and began turning it counter-clockwise, then returned it to it's original. "Look at the clubface, see that's happening?" Every time I rotated my elbow over I watched the clubface close. Next, Bryson held my left elbow in a straight, locked position. "Now, try turning the clubface over." I couldn't. 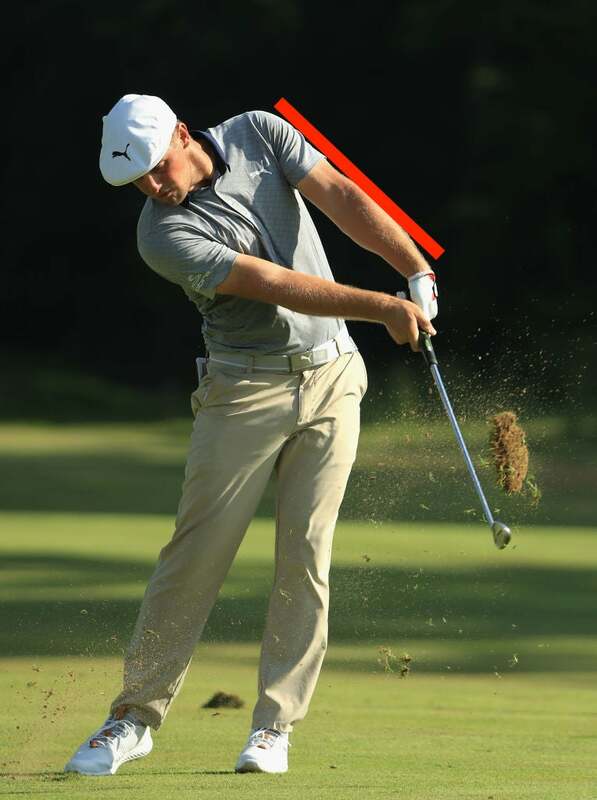 With the left elbow in that straight, locked position, it's basically impossible to rotate the clubface closed more than a few degrees. https://www.instagram.com/p/BpakPlYlgbX/ At that point, Bryson started talking very fast and throwing around a lot of big words. I remember he used "physiologically" quite a bit. But his overriding point was a good one. 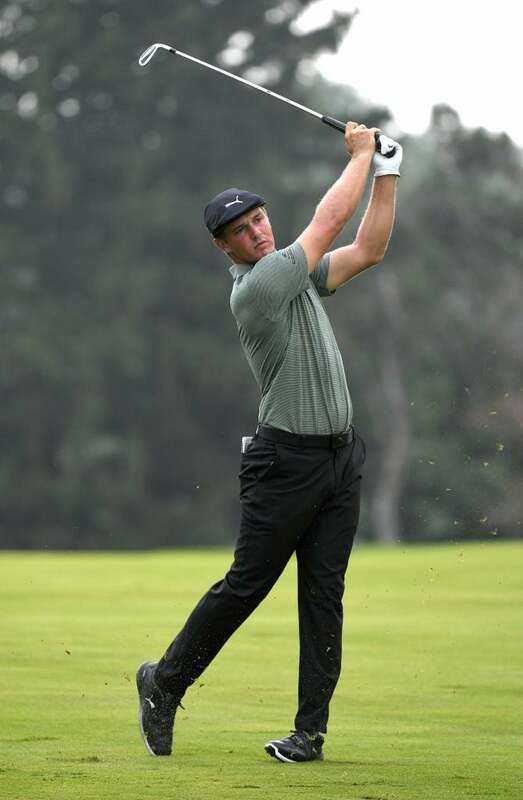 Golfers are often taught to keep their left arm straight on the backswing, but Bryson focuses on maintaining that straight left arm structure all the way throug his swing. It's only when that left elbow and arm breaks down through the ball that golfers start hitting shots left. 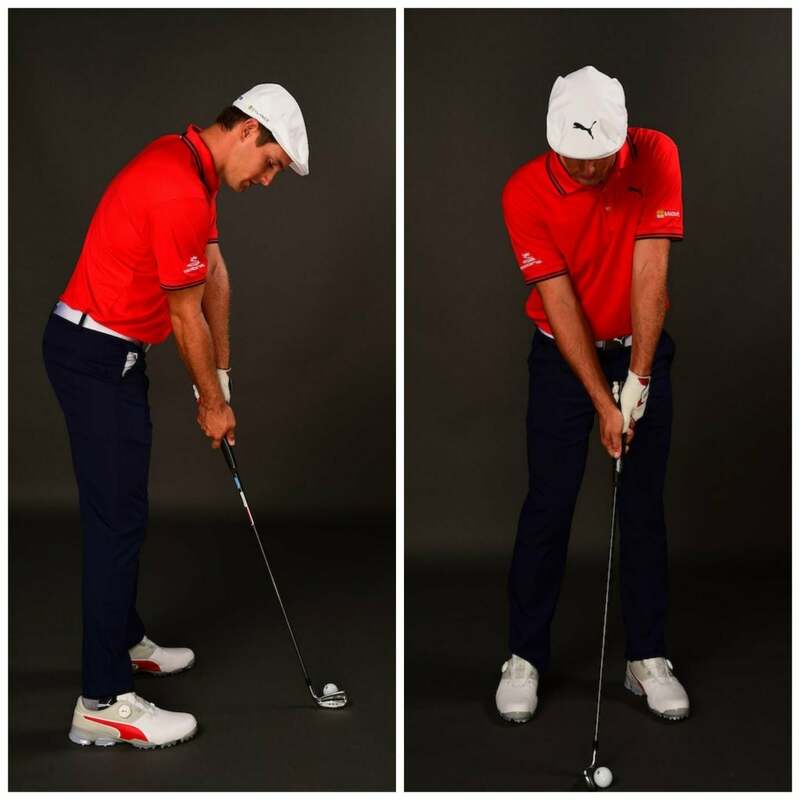 Simply put: Keep that left arm straight though the ball, and the clubface will stay square longer. You can see Bryson doing it in his swing. Look how long he maintains that structure in his left arm and elbow through the ball. 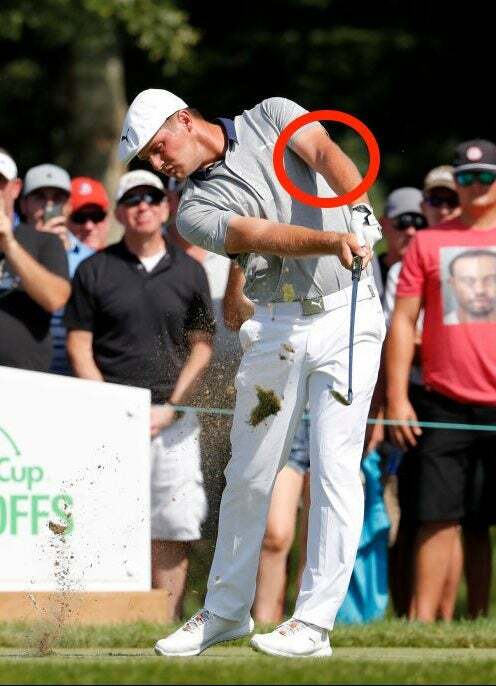 Bryson's left elbow remains in the same position even after the ball is gone. 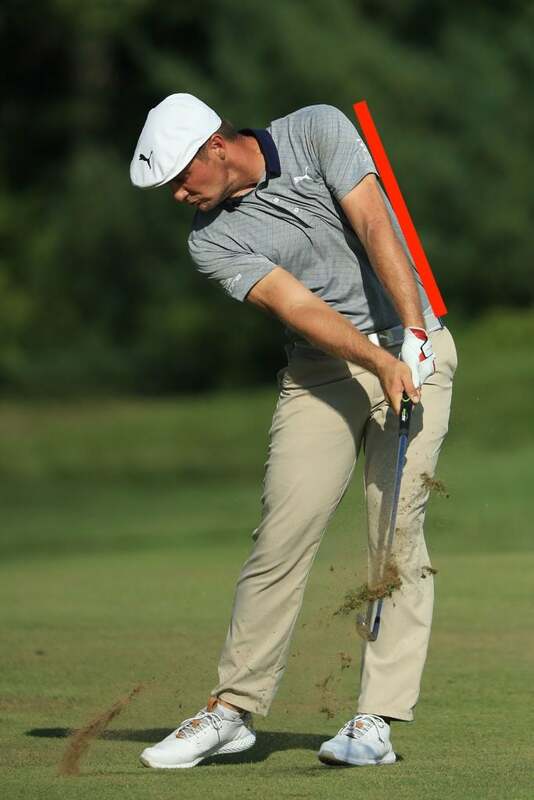 Even when Bryson's club is past parallel on the through swing, his left arm remains in that same position. It's why, as you'll notice below, the clubface is still square to his body. It's not until he's almost fully completed his swing that the left arm begins to bend and fold. The clubhead finally closes, long after the ball is gone. The setup is part of it, because if you're going to make it your goal to keep that structure in your left arm and elbow through the swing, it can't start bent and relaxed. After watching me hit a few shots and playing around with my left arm some more, Bryson bid me adieu. "Give it a try," he said as he walked away. The next week, Bryson won his fifth PGA Tour event. 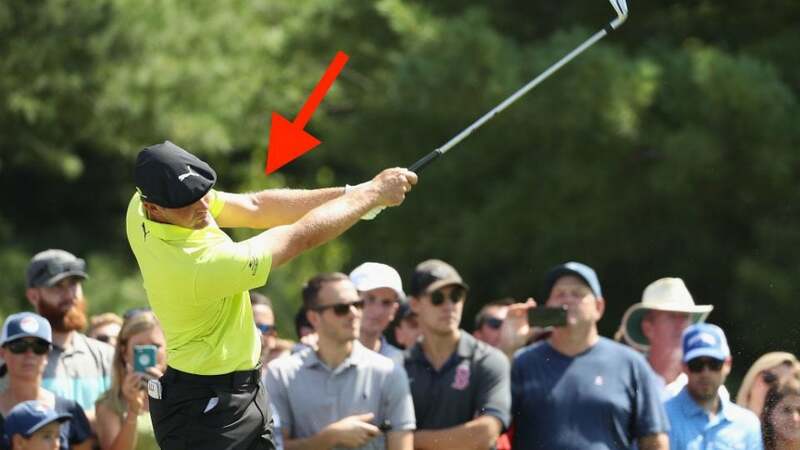 Straight arm and keep it there: It's not for everyone, but it clearly works for Bryson. And who knows, it could be your secret, too.